We weren’t given a lot to go on in the recently released trailer for Expendables 2 and a similar less-is-more approach seems to have been taken with the poster for the film. If this poster does hint at anything, it’s that a lot of destruction is in the cards for the new film... and Barney Ross. A giant “2” has been blasted through the wall. There’s debris all over the ground and standing behind the mess is Sly, looking as tough as ever with his hands full of guns and his face full of determination. You may also notice that the recognizable names of the main cast have been stamped up top. Just the last names. There’s no time for first names when there’s stuff that needs blowing up. 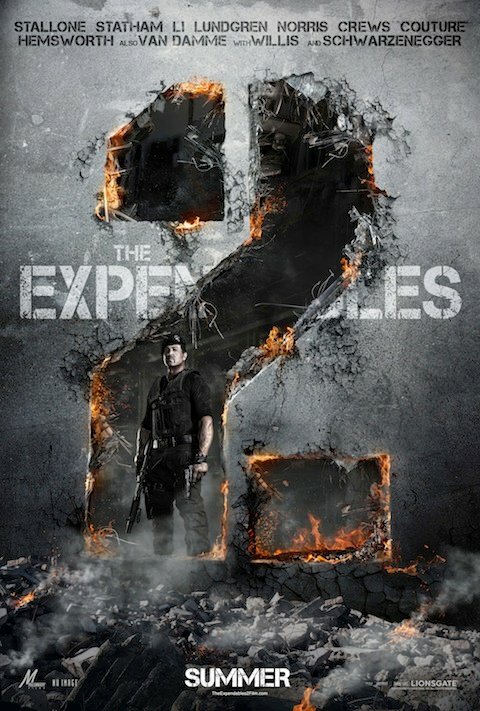 The Expendables 2 hits theaters August 17, 2012. More info on the film can be found in our Blend Film Database. Watch: What If Pixar Made The Expendables 2?